My latest article, “When The Tides Turn Trash Into Treasure,” now appears in the Summer 2015 issue of Santa Cruz Style. It was a fun story to research, since it explores the world of sea glass and its transformation into jewelry. The piece profiles three local sea glass jewelry designers: Josie Fuller of Capitola’s Craft Gallery Annex, Krista Hammond of Santa Cruz Sea Glass, and Leslie Stabile of Bella Mare Sea Glass. 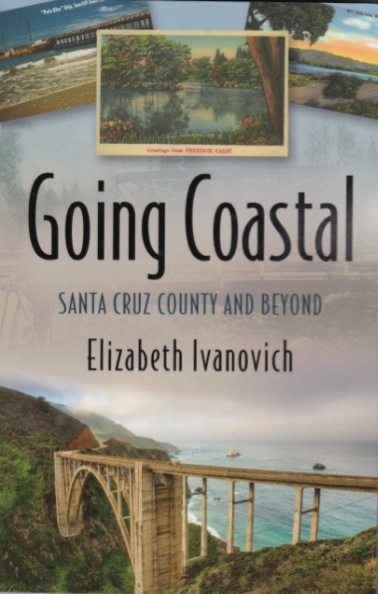 To find a free print copy in Santa Cruz County, or to read the issue online, visit http://www.santacruzstyle.net. I also want to give a shout-out to Art Inspired of Capitola, the beautiful boutique run as a collective by Stabile and four other local female artists. Stop by to visit Leslie (she has very cool stories about her sea glass travels! ), see her jewelry, and find copies of my book. You’ll have a fantastic time there!